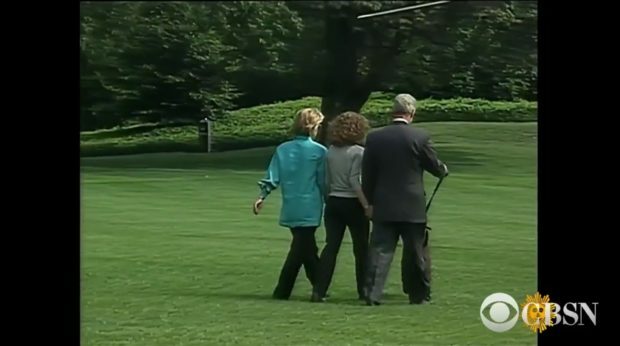 The Clinton family strolls near the White House during President Bill Clinton’s presidency. CBS Sunday Morning screenshot, Oct. 14, 2018. That response is not in sync with some Democratic female legislators who feel Bill Clinton definitely crossed a line and would not be excused in the age of the #MeToo movement. Clinton friend Sen. Kirsten Gillibrand has said that she believes Clinton should have resigned. She then turned the tables on President Donald Trump.